The Junior Casino Manager’s main focus is to support and actively drive the achievement of superior customer experiences, whereby building and improving customer value, satisfaction & loyalty, through direct customer interaction and companywide engagement in customer experience focused improvements and innovations. 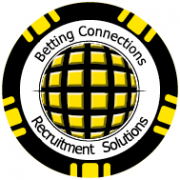 The Junior Casino Manager will pro-actively engage with customers for the purpose of extending the depth & breathe of our customer relations and to actively identify and/or support, solve and prevent poor customer experiences. The Junior Casino Manager is authorized to receive and handle customer due diligence documentation.